Applications for business visas should be made at the Iraqi Consulate prior to departure. Consular officials at the Iraqi Embassy have indicated that visa approval can take two to six weeks from the date of submission. 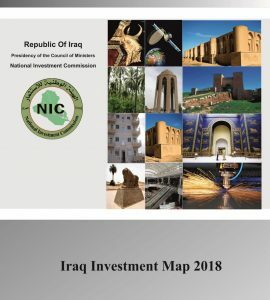 Visas are issued to business people, provided that they have official invitations from Iraqi authorities or are introduced as such by their respective Ministries of Foreign Affairs and are supplied with letters from the Chamber of Commerce. Applicants should also submit a letter of request from their own company stating the reason for their travel. 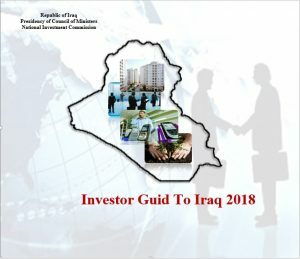 Investors can also submit their visa applications to the NIC – PR department exclusively and through the email address shown below with filling the following format providing not to mix Arab and foreign names together. The provincial Investment commission shall have to send a letter to the NIC signed by the PIC chairman or Vice Chairman "the letter must be original"
Names and numbers of persons must be written clearly in the letter and in the closed list attached with the PIC Chairman signature on the letter and on the list (in English for foreigners and in Arabic and English for Indians and Bengals with writing first name first and surname last in the format shown below). The company undertaking letter must be stamped with the company and the PIC stamps with mentioning that the workers shall not be seeped during the work time or after finishing the project. Passports copies must be colored, clear and same as the original size with taking into consideration the passport must be 6 months ahead valid. The following formats shall be accredited. There are a growing number of commercial airline flights from different parts of the world to Iraq's main cities. Below are some briefed details about 5 efficient hotels in Baghdad with which travelers to Baghdad can deal for the purposes of residence or holding conference and forums.